Here is a list of all apps I tried, that manage Amazon Sponsored Ads campaigns for you. I describe them all bluntly. Exactly what I think of them. Hehe. Enjoy. I will be using the abbreviation 'PPC' many times over. Of course you know what it means. 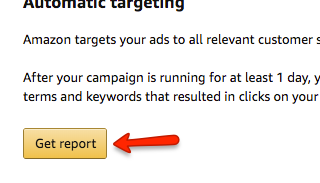 Ok, so I don't know about you, but on Amazon Seller Central, the most annoying part about checking out PPC campaigns is this. I have to Download the excel report... This is like stone ages. I am very lazy to do that. That was my first reason for wanting to have some kind of software for ppc management. I wanted the app to just show the keywords to me. If you're not lazy to look at Excel, it's still pretty bad how Amazon makes you download it. Surely you have experienced this anti-user-friendly interaction before. It does not end yet. You are starting to get a little annoyed. In Progress. Click Refresh one more time. You then happily click Download and hope your troubles are over. But wait. There's a surprise. It's not an Excel file, it's a text file. So double clicking just opens a useless text-editor version. 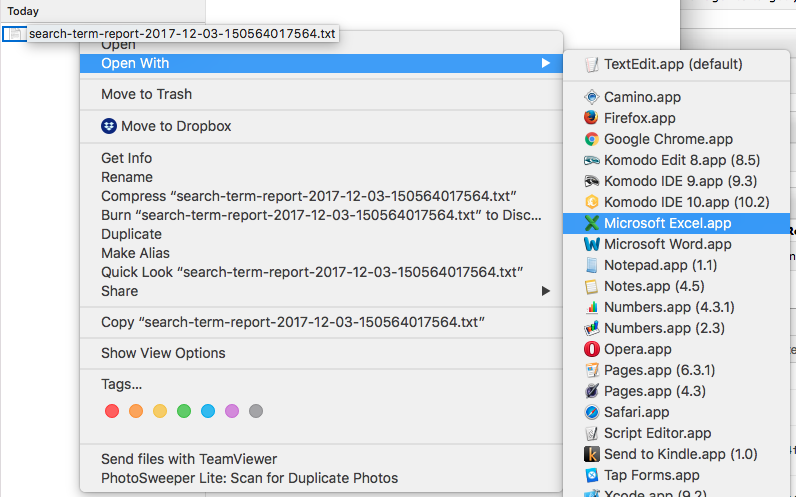 You then have to right click on the file name and hope that you'll see Excel on that list, so you won't have to go online to import it to Google Sheets. You Click. And here it finally is. The file. Open and Ready to be read. 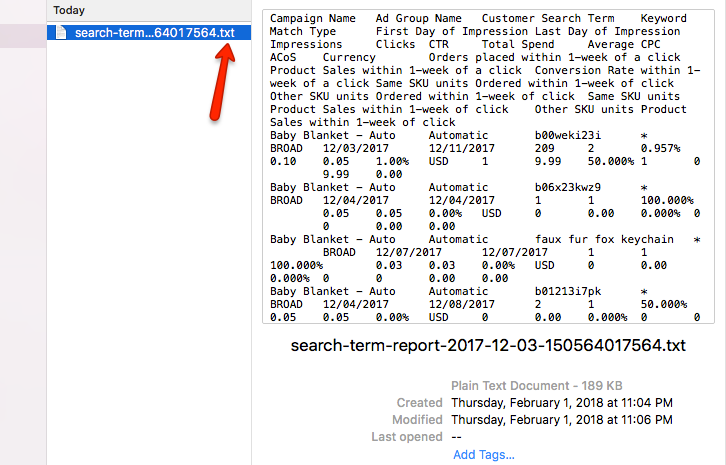 All your campaigns are smashed into one file, not only the auto keywords on one campaign you were hoping for. Waaay too much stuff for a busy Amazon Seller - who has time and patience for this? I don't. You probably don't either. That's why we need Apps. 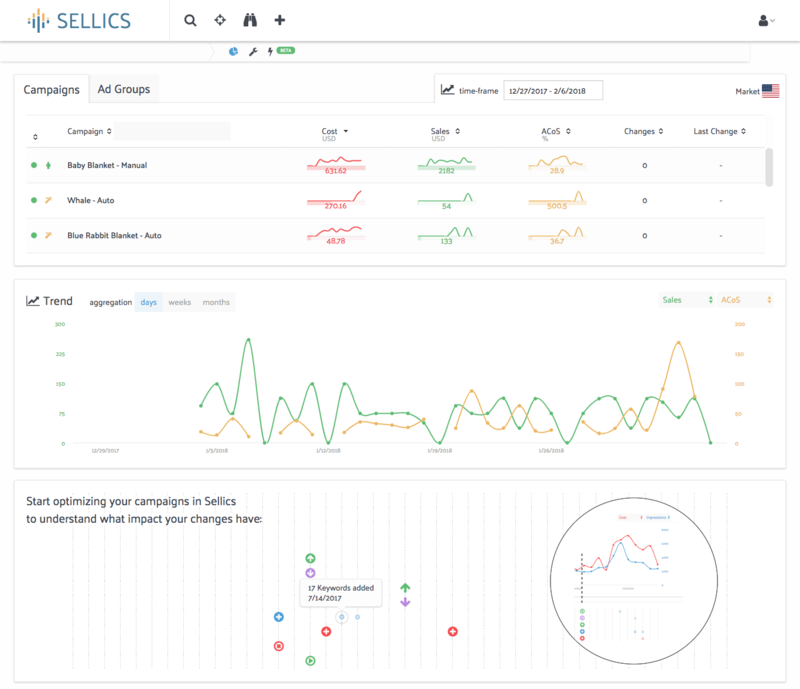 Sellics used to have separate apps for USA and for UK, now they released a unified version where you can see your ppc data from all marketplaces in one place. They also have Japan, India and China in their app - but there is no PPC support for these countries. The reason most software tools don't support PPC for Japan, China or Australia, is because there is no Advertising API for those countries yet. No headline ads, no banners, no sponsored listings. Interesting. But you probably don't sell there anyway. I had this one product, which I spent 6 months developing. Whale Shaped Baby Blanket. I ordered a few existing animal shaped blankets, chose features that were best in each of them, and then asked my supplier to combine those things into one. They searched for materials for a few weeks, then were making samples for a few weeks, then shipped me the samples to Canada and it took a few weeks.. Then I asked for changes, so again they spent time.. basically took forever. 6 months to be exact. Finally in the end, we created a very cute product. I ordered 300 units, because that was the smallest MOQ I could negotiate. I would usually prefer to only order 30 units, to reduce the risk and waste of storage costs until the rankings ramp up. But I couldn't do any better in this case. Zero units sold in the whole month. I believe that Amazon enforces a few weeks of sandboxing on all new products. It seems that the sales are capped and impressions are carefully distributed. It's like Amazon is testing the product to see if it will sell, and is rotating it into the search results little by little. In any case, most of my products usually start selling only a few weeks after they arrive to FBA warehouse for the first time. But this one did not move at all. I had the listing done well, the description, the professional photos.. Nothing helped. So I came up with a strategy to boost my rankings with PPC. From what I learned on Facebook groups, most sellers set up an Auto campaign first, before doing anything else. They call it a Discovery campaign. 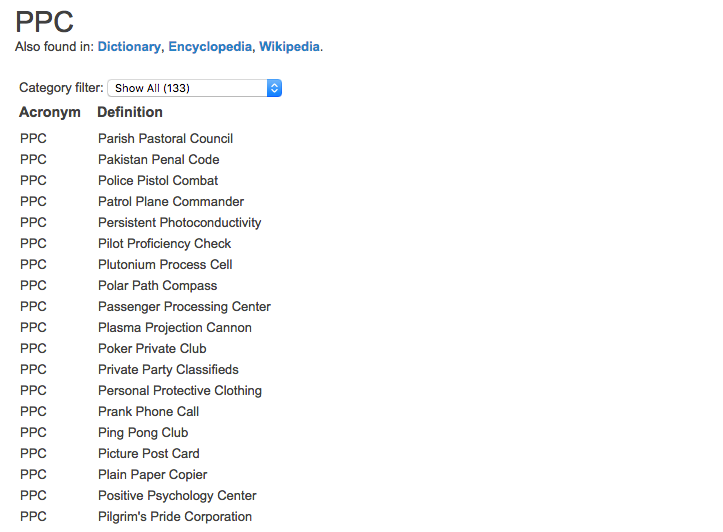 To discover keywords. Manual is where you put in your own keywords. So I decided to do the same. Because so far I only had like 6 keywords in mind, which I could use for my manual campaign later. I needed more. Suggested bid was $0.04 - $1.28, so i bid on the low end, $0.34 cents. Random choice. Basically nothing. 2 clicks a day. Then i decided to do whatever i can to just get some sales. I made the bid to be 5$ and daily budget $5,000. Just wanted to see how much traffic i can actually get. And hehe right away that day, i got my first sale!! Yeeeha. Only the cost was quite high to get it. So many impressions, and only 45 clicks. I needed to quickly check what keywords were loosing me money, and what keywords got me those clicks. I did not want to continue spending $1.55 for every window shopper. so.. download the Amazon Excel report again? No way Jose. 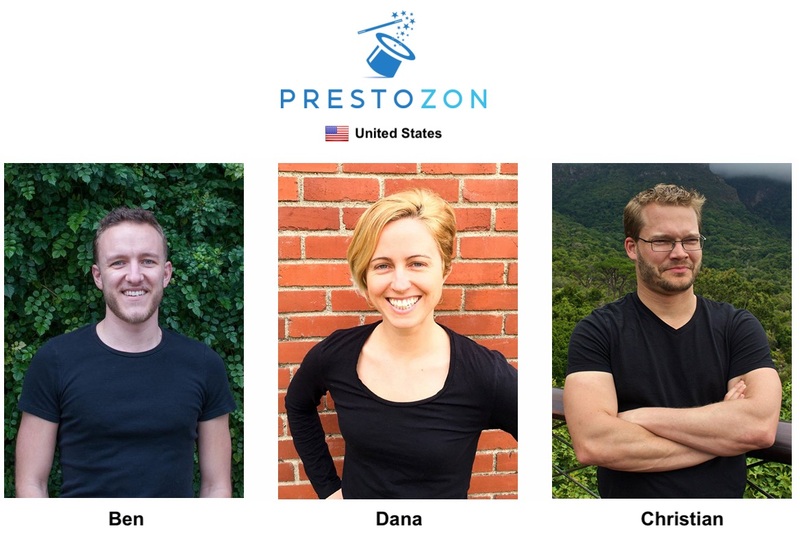 I started with the app I was using already - Prestozon. I really liked their clean and elegant interface, and most things were easy to understand without explanations. The reason they do it, is because Amazon does not attribute sales to ppc on the same day. Amazon has a 24-48 hour delay until it tells apps which clicks converted to sales. Ok, makes sense, but I just wanted to pause some obviously wrong intent ones. Maybe Amazon was sending me traffic from some totally unrelated keywords, and I was spending a fortune on them with my 5$ bid. Two days could have eaten a lot of money. 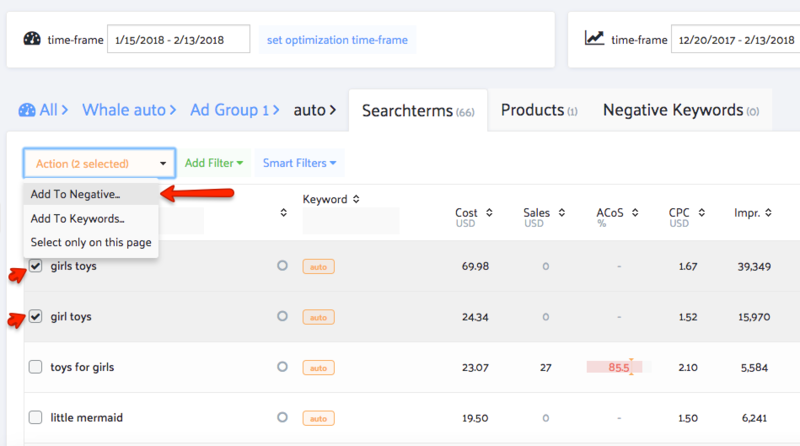 Within the PPC app, I wanted to see the search terms as soon as they were available from Amazon, I did not want to wait for the Sales data to come in first. So I checked out another software, PPC Entourage. Then I went to look for the search terms. I am not completely sold on this splitting style. I think I would prefer to see all of the search terms in one list. Sorting and comparing side by side would be more useful when I could see the data together. For example, I want to know if there are any similar topic Winner keywords, before killing the Losers with the same words. I also want to know what's a good click-through rate on my Winners, side by side comparing to the Losers. And things like that. It would be one list, and red/green would indicate how the keyword is performing, based on my criteria. If not highlighted, it would mean it did not reach the number of impressions, or the number of clicks, to be judged on yet. Then I could decide what to kill and what to keep in one glance. No no. Not that Excel file. This was not a deal-breaker for me, but it would have been a nice to have. So far PPCEntourage looked good, but I would have to get used to their ways of presenting the data. 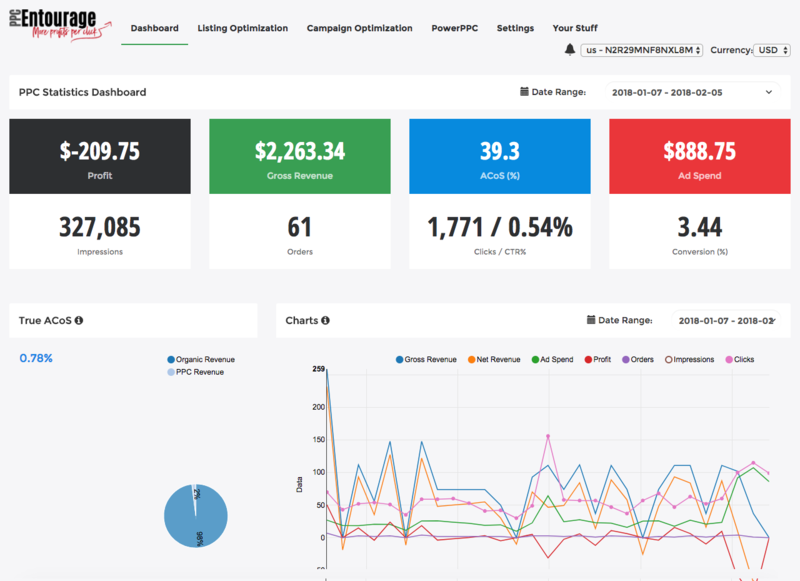 In addition to PPC Manager, Sellics tool features a Profit Dashboard, Inventory Planner, Product Research and other cool things. I will only focus on their PPC Manager here. First things first, let's take a look at those search terms. The list was up to date with yesterdays ppc spend showing on Seller Central. One of the keywords (girls toys) was eating up all my money, and was quite irrelevant to the baby blanket I was selling. I reaaaaly wanted to kill it right away. I noticed there were filtering options, and a Smart Filter - I couldn't wait to use them. But I held off until I've seen all the other software options. So Sellics was quite awesome - data was fresh and presented neatly. I liked it very much so far. 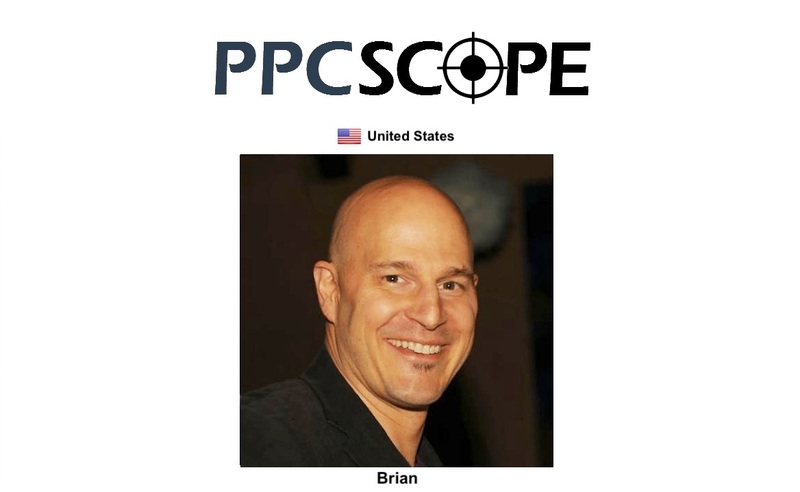 Next app I tested, was PPCScope. Brian is quite famous on Facebook Groups for Amazon Sellers. 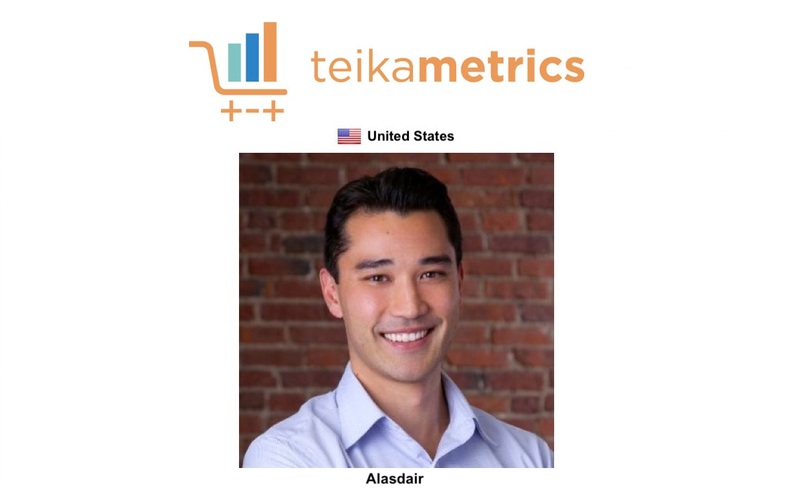 He has an indepth experience optimizing Amazon PPC - his advice and insights are super good, he knows many unique tricks and methods to make more money using ppc. He's a guy who knows his stuff. Only keywords were showing from my other manual campaigns, no search terms. Funny story on how I signed up for a free trial. 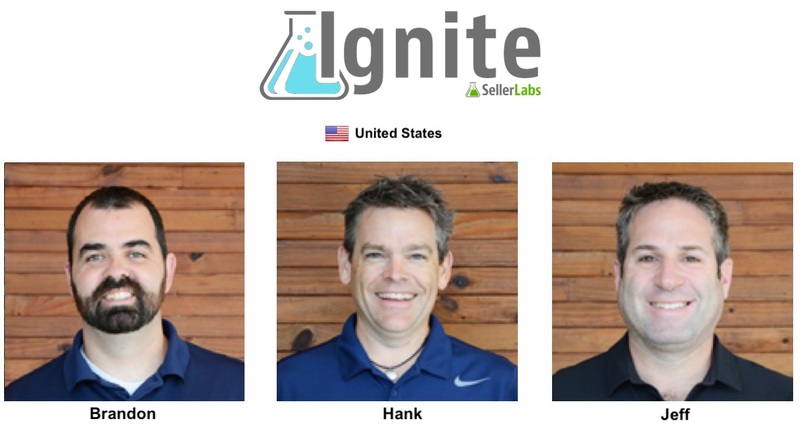 Brandon is the original founder of Seller Labs, Hank is the CEO, and Jeff is the marketing guy. You probably already knew Jeff. He creates awesome events and a lot of useful content for Amazon sellers. Ignite was confusing at first, waiting for search terms to load. Not sure if they will load. Why do all apps make it also with an extra click like on Amazon for auto campaigns. We know the targeting is auto, why do I have to click on it instead of just seeing the keywords right away. And I could not see the search terms: hmm. why not i wonder. So basically those auto keywords are really crap. I need to tell Amazon what my listing is all about. I need some other way of finding keywords for my manual campaigns, because auto is not gonna work if it continues this way. PPC Entourage has a very nice Dashboard for each individual campaign. But. It showed me only non-profitable search terms, so 6 of them. While Sellics showed more than 15. Hm. I want to see all of them. PPC Entourage asking for username and password in support form. heheh. so insecure. Here goes the long waited killing. The search term that ate all my money in the auto campaign, was girls toys. The CTR was definitely low, and I waited too long to kill it, as I could have made the same decision after 10 clicks. This is Sellics, by the way. To Kill = to add as Negative Exact on Seller Central Ad Campaign. I double checked on Amazon. Yep, already there. But, hm. The next time I looked at it, it was there on the list again, looking all the same. I wish there would be some kind of indicator, that I have already negated those. I wish to filter them out and not look at them the next time I am optimizing the same campaign. Now it's just too confusing. I will forget which ones I killed, which ones I didn't - there are hundreds of keywords. When I placed my bid at 5 dollars, I was kinda hoping that Amazon will auto-optimize it for me. I was secretly hoping that their algorithm was similar to that of Facebook Ads, where they give less traffic to non-converting triggers, with time. Unfortunately, I don't think Amazon was at that stage yet. It was just sending more traffic to the same keywords, as long as I was paying for it. I was going to have to do all the optimizing myself. Tip: Don't do the blasting with high bid and high budget on Auto. You will just waste your money for no good reason. Even if you do it with a much lower bid. 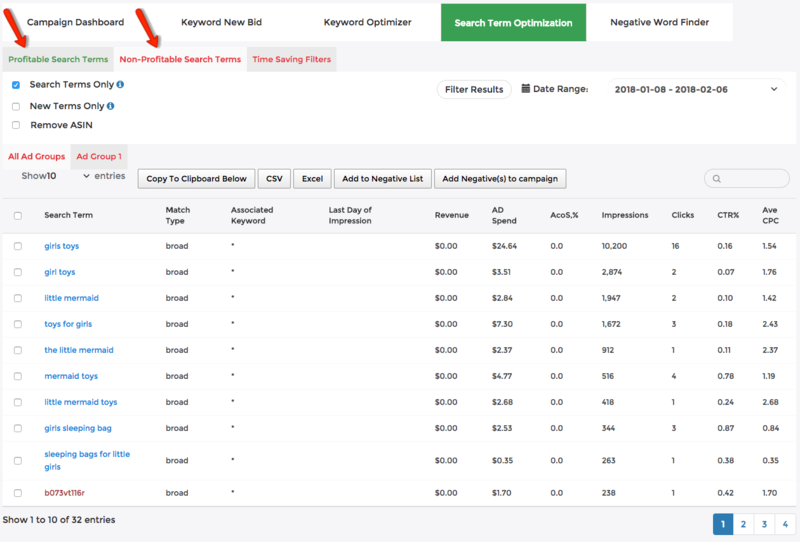 Turning on the auto campaign and doing nothing with it later will waste your money on keywords that do not convert. That’s why many ppc tutorials tell you to limit the daily spend on auto campaign to 30 dollars or so. Start with suggested bid and limit the spend. You will still collect your seed keywords and get an idea whether Amazon understands your listing correctly. Most ppc tutorials online will either recommend bidding high, or low, or in the suggested bid range. My suggestion is to simply calculate how much you can afford to pay per click instead. Don't think about this formula too deeply right now. First, let's see how many clicks it takes for your listing to sell one unit. 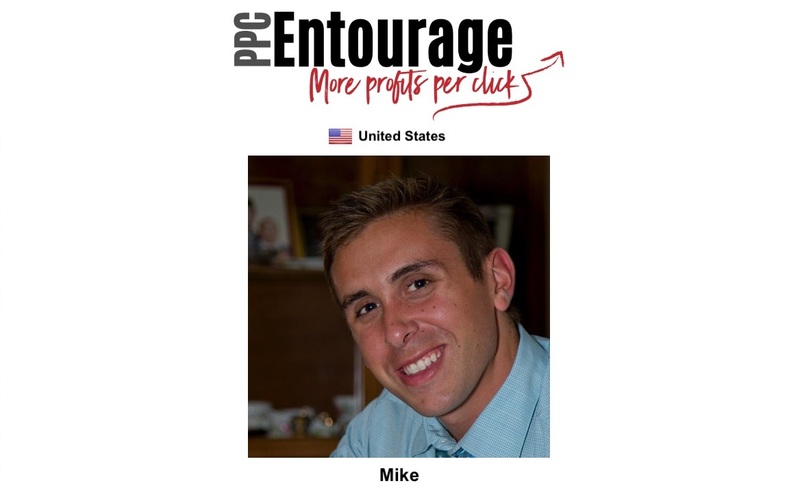 Mike from PPCEntourage uses 5 clicks and no sales as a loser definition, after that he kills the search term. But i am not so sure about the 5 clicks. What if on the 6th click there would be a conversion? I believe to decide how many clicks without sales is a loser, you have to look at the average coversion rates for your product first. These are similar products to the Whale Sleeping Bag. Basically 12% conversion rate on average. That means if 100 people visit my listing, 12 will buy. 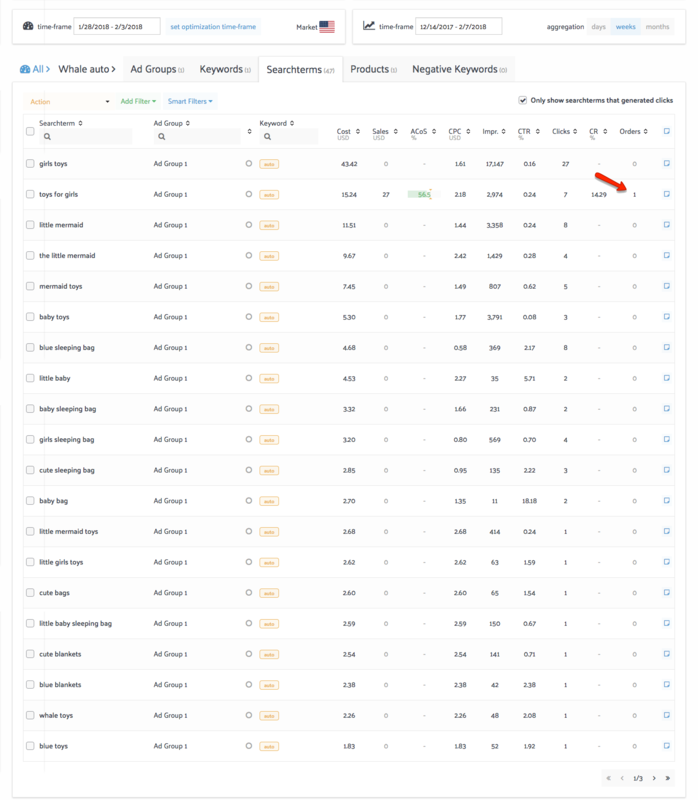 100 visitors / 12 sales = 8.3 clicks to get one sale. So every 8 clicks or so, one unit sells. In my case then, it makes sense to wait for 9 clicks instead of 5, as a good time to decide whether a keyword is a Loser or Winner. But I will just round it up and make it 10. Tip: You should check your own Conversion Rate to Sales (Unit Session Percentage) on Seller Central Business Reports. It will help you decide what is a good number of clicks to use, when creating your own Loser/Winner rules. Don't use the ones you hear other people use - every product category converts at a different rate - you may be killing good keywords too early, if you rely on the numbers of others. Ok, so 10 clicks will get me one sale of this product. Next, check what is your profit per unit sold. So at most I can pay when optimized, is 0.60 per click, to be on break-even. This bid will not get a ton of traffic. But this is the way it goes with low priced items. Basically the higher your profit in dollars, the easier it will be to run ppc. 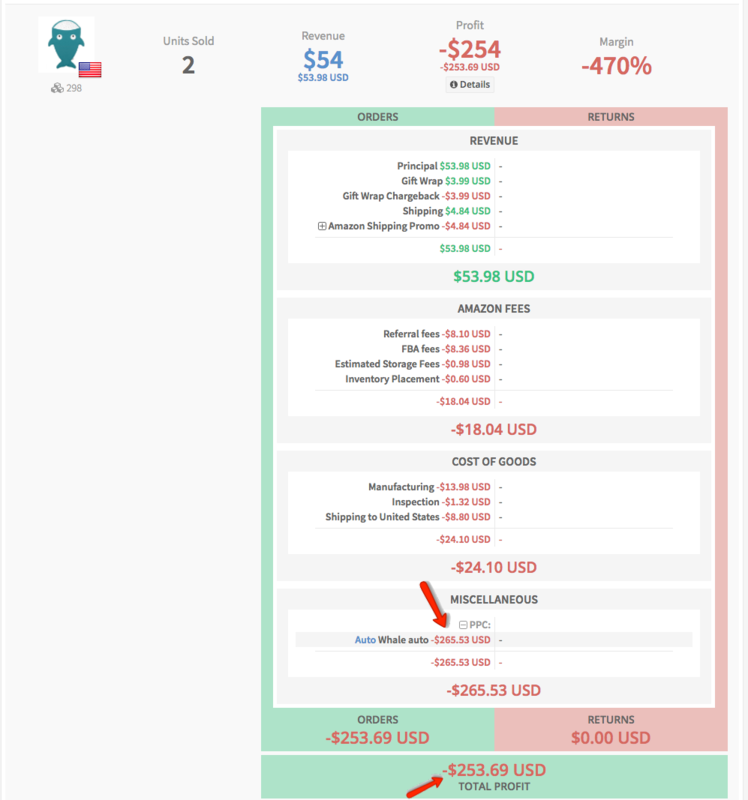 I have another product that makes 15$ profit on every unit sold, and i spend about 7$ for ppc on each unit sold via ads. So it still makes sense, because I still make 7$ profit on each unit, and is easier to bid high. I can bid up to 1.50$ per click to be on break even. 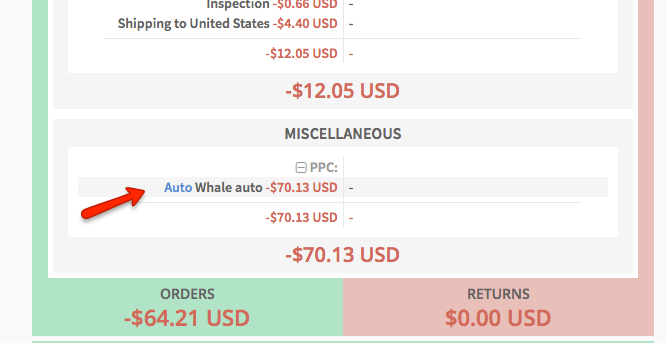 Tip: If your product is cheap, running ppc will be most likely unprofitable. 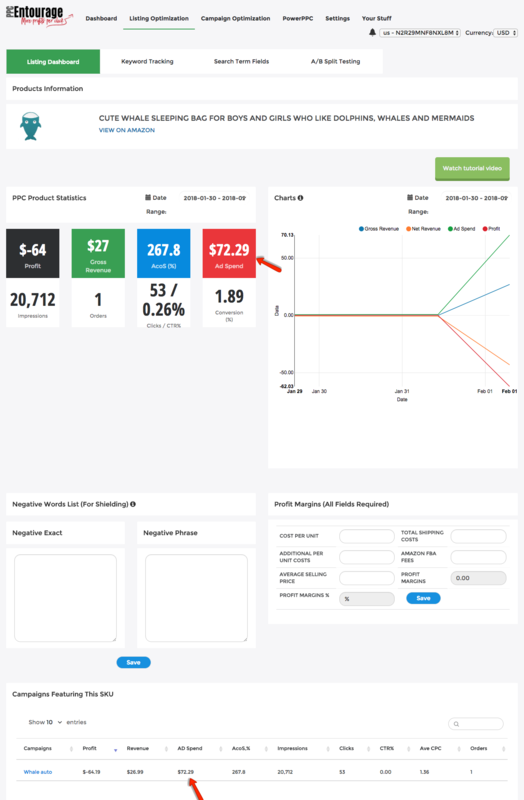 I would say your product price should be above 25$ (assuming 40% or higher profit margin), to make any profit running it on ppc. You may decide to run it unprofitably, just to boost the sales (Amazon will like the sales activity and rank it higher in organic searches). In that case, bid strategically, without looking at how much you can afford to bid. Some sellers do that aggressively, especially in highly competitive categories. I personally prefer to run my ads profitably, I don't want to see those red digits. I decided to test one idea. 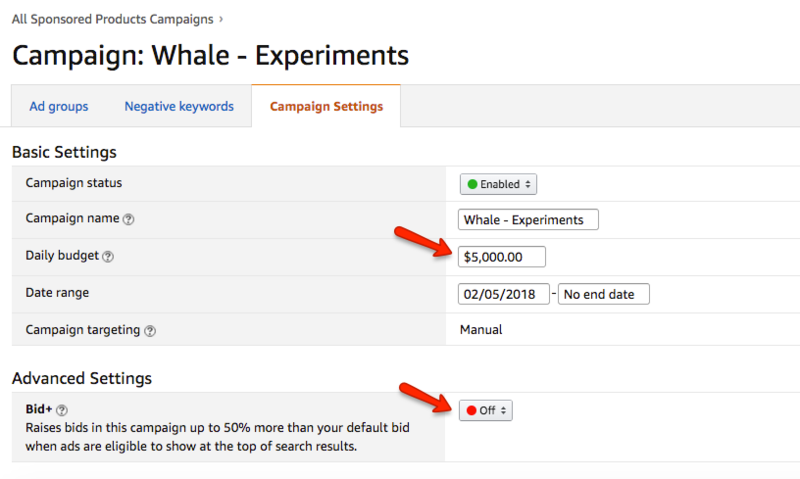 What if I bid on a very general single word keyword, like whale? Maybe people are searching for something else with a whale, but they will like the idea and buy it? And I would find out what else is there in the whale market, so to say. I did not bid $5 this time, because by now I already figured out that the most I can pay is $0.60 per click. There is a well known trick to bid 1 cent more than the round number you plan to bid. This makes you win over the other people who also have only $0.60 bid budget. You pay 1 cent more, but win the bid. Small price to pay to win the auction. I personally bid 2 cents more than the round number ($0.62) , so I could also win over those seasoned advertisers who bid $0.61. It's just plain fun. The thing is, $5000 is what I use as daily budget on all of my ad campaigns. I have a theory that Amazon algorithm may try to give my campaign more impressions - in attempt to reach its daily budget goal. 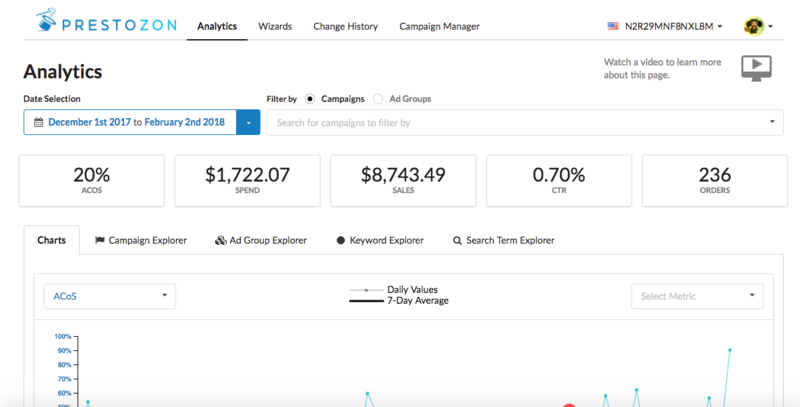 In reality, there are not enough searches in my category every day, so I don't ever spend more than 300$ on one campaign a day. But my hope is I will get more impressions in total than someone with a $300 budget would. In my previous life, I used to run ads on a different platform, and their algorithm worked exactly like that - the higher total daily budget I set up, the harder it tried to spend it. Not sure if Amazon's algorithm would be so basic, but anyway. That's my reason. Amazon assumed it's a toy. Probably because I chose my product category under Toys. The thing is, even though I bid on a general keyword, Amazon still sent me only 'relevant' traffic. Which means they only showed my ad for search terms mentioned somewhere in my listing already, or some closely related terms. It did not send me, for example, whale tshirt or whale drink bottle searches at all. That means I could not really learn what new & unexpected keywords would work, just by running a broad match campaign on one generic keyword. Amazon will not send me traffic I didn't ask for with keywords in my listing. That is just sad. 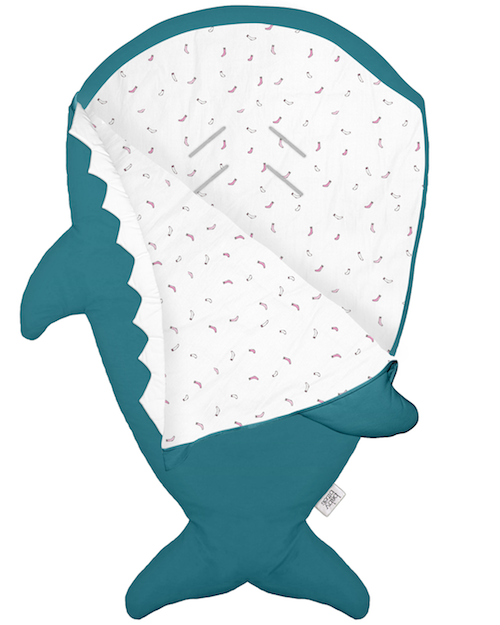 Surely a buyer who is looking for whale curtains for her daughter's room would be a good potential buyer for my whale sleeping bag. But this is not how Amazon search works. So it looks like I will have to be very creative inventing keywords for my listing. 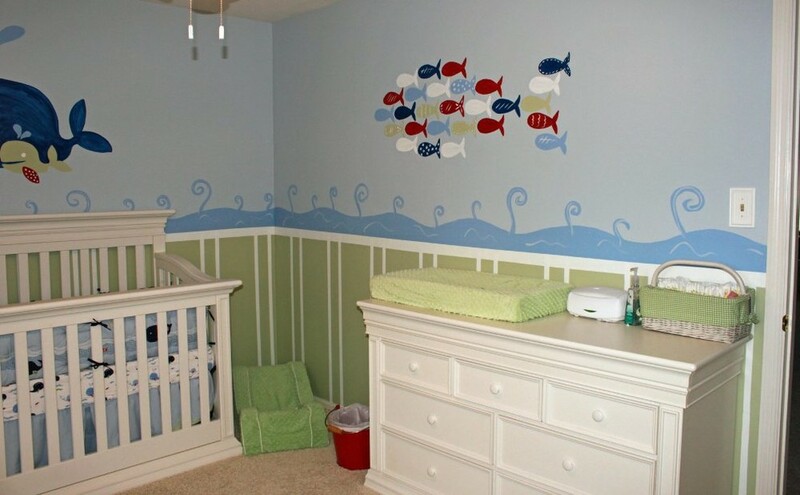 I will probably have to somehow come up with bullets like whale themed kids room item that matches whale curtains. I will think about it later. 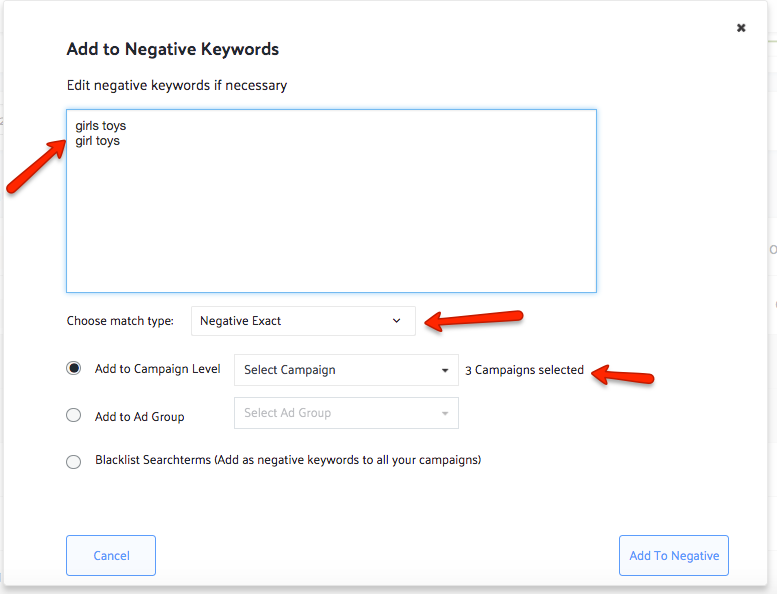 Tip: Running auto campaigns or running single word keywords on broad will not find you any new keyword ideas. They will just show you how much traffic the words you used in your listing can generate. And which combinations of those words and closely related terms have most traffic. 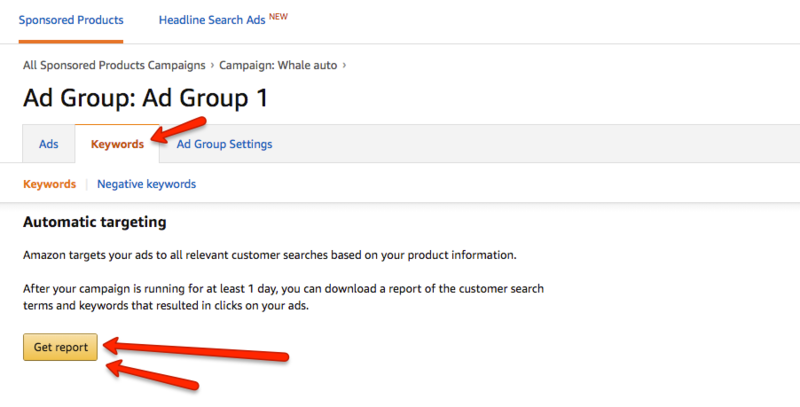 Why ppc gurus are calling them DISCOVERY campaigns then. They are more like QUANTIFICATION campaigns. It's not so easy to run a successful ad campaign, when there are Zero reviews on my product. With my usual sales to reviews conversion rate, which is around 1-2%, it will take forever to get any reviews.. I have to sell 100 units, to get one review. Also my buyers often leave seller feedback instead of product review. They just don't know the difference. 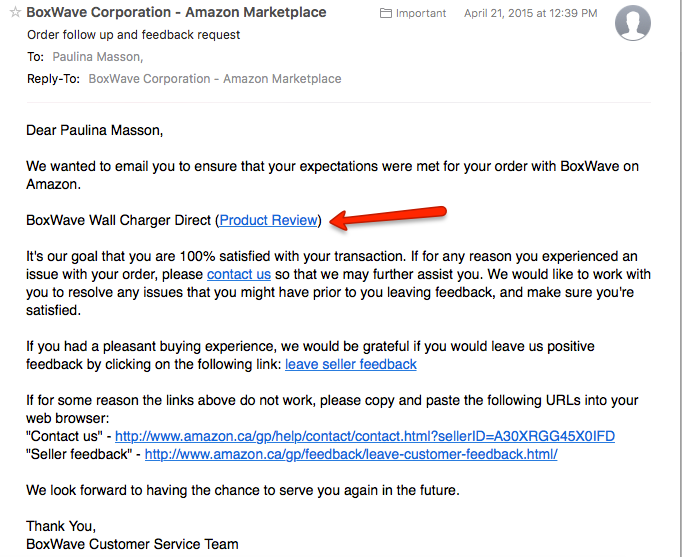 Amazon mostly sends emails to buyers requesting for seller feedback, they only rarely solicit product reviews. Hah. And then I realized I could use the new shiny Early Reviewer Program, offered by Amazon. What they do is they start sending emails to your buyers, soliciting reviews from them. Kinda like sellers do with the auto emailing software. It costs $60 per product, and for that you get one year of review solicitation emails to your buyers, randomly selected by Amazon. Sounds like an awesome deal if you ask me. No need to do huge giveaways like in the old times. In addition to the $60, each reviewer receives a ~$2 Amazon Gift Card, which you will pay for. So I submitted the Whale Sleeping Bag to the program. Let's see how soon the reviews will come in. 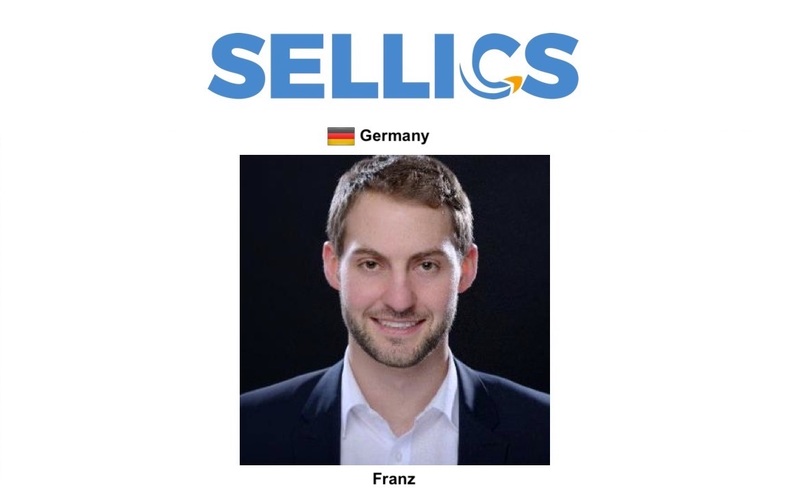 Franz from Sellics mentioned something very useful in one of his ppc webinars. He said that you should bid 30% higher than you want your target Cost per Click to be. So for example, I want my cpc to be $0.62, because that's the most I can afford. Then according to him, I should bid around $0.80, to have the cpc of $0.62. Did you know? : The bid the you set is actually considered as a Maximum bid that you can pay. 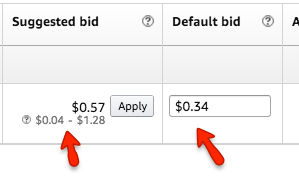 If there is another person who bids on the same keyword, and his bid is lower, you pay only 1 cent more than he bid. That means that some of the auctions I win with the lower bid than 0.62, which brings down tha average cpc. Traffic was so low on my campaigns. I wanted more clicks. so that means I spend less than 0.62 (maybe 0.40), and there is still space in my budget for more expensive clicks. The pricing tiers vary greatly, and they depend on different things, so it's easier to look at it like this. Let's take a look what a small seller like me would pay, and how does the pricing compare then. 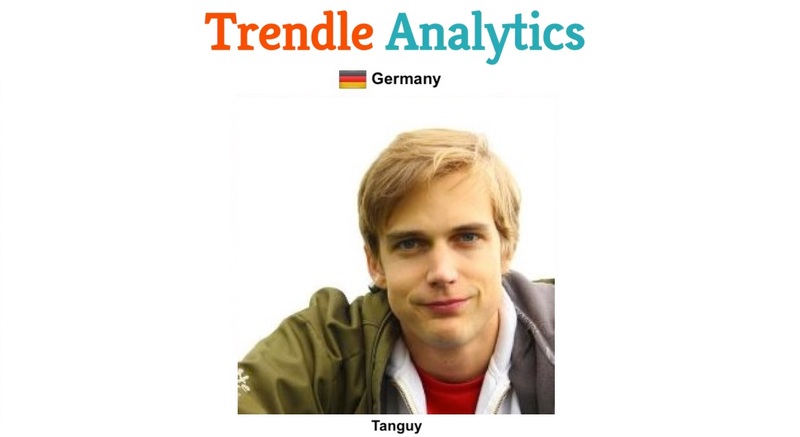 So it looks like Prestozon and CashCowPro are most affordable, with Trendle Analytics being a runner up. 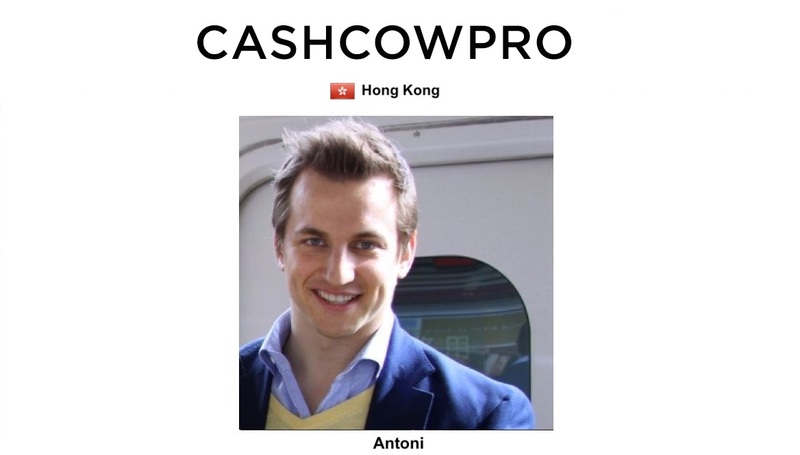 CashCowPro keeps changing their prices - it used to be $30, later $50, and now it's $40. Ignite is most expensive, and it's not a surprise, as all of SellerLabs tools are pricey. In any case, roughly you can expect to pay $50 - $100 for any ppc software tool that you choose. If you're interested in this topic, and want me to continue, let me know by Liking this article. The more Likes I get, the more time I will spend on this topic. I am the founder of Shopkeeper and an Amazon seller myself. 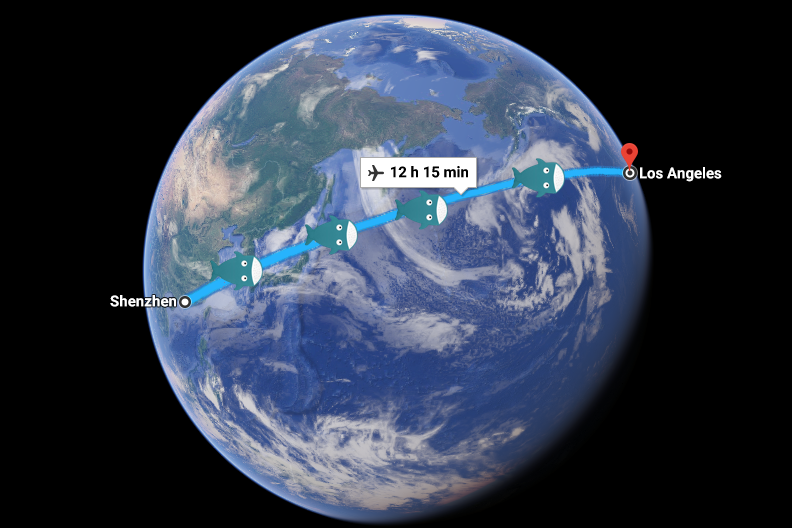 When I started selling on nine different Amazon marketplaces, including Amazon Japan, I realized there were no software tools on the market which would sum up my sales from all countries. I also did not like the cluttered, spreadsheet look of most apps. So Shopkeeper was born. My articles are primarily about software tools for Amazon sellers and case studies where I explore all things Amazon. Do you want to read more practical articles like this one?